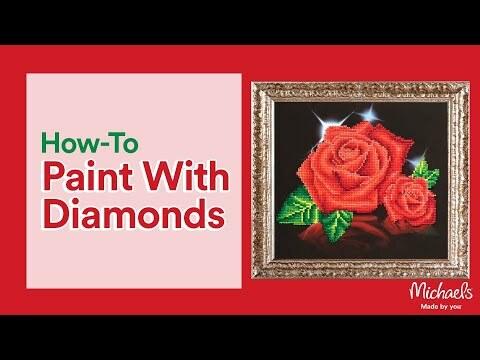 This all-inclusive beginner level kit comes with everything you need to complete the Blue on White 5D diamond painting design. It includes high quality color printed fabric, Diamond Dotz pre-sorted by shade, Diamond Dotz stylus, craft tray, wax caddy and complete instructions. Diamond Dotz® Blue on White is rated 4.5 out of 5 by 2. Rated 4 out of 5 by Brod from This design is beautiful! Very easy and fun to do! I am now doing one that is a little more involved so very excited to see the finished product. Rated 5 out of 5 by Jestersmoon from Diamond Dotz Blue on White I chose this Diamond Dotz kit as my first venture into the art because of its simple one color an I loved the pattern. It really was a good one to start out with an now I wish to do more challenging multi color pieces. Fun an relaxing . I am hooked one of my new crafting loves.